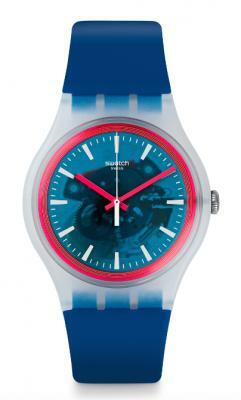 Swatch Expands Payments Service–Provides Affordable Analog Alternative to Smartwatches | NFC Times – Near Field Communication and all contactless technology. Swatch has expanded its payments wearables service, potentially bringing more affordable watches that can be provisioned with the consumers' preferred payments cards into the market. Switzerland is the second market for the service, after Swatch launched what was then called “Swatch Pay” in China in mid-2017 with 11 banks. There is no indication yet whether Swatch plans to take its payments wearables service global, but if it did, it would offer an affordable set of payments timepieces as compared with the major Pays wearables services. Apple Pay uses the high-end Apple Watch. Fitbit Pay and Garmin Pay work on a range of their own smartwatches. And Google Pay runs on Google Wear devices from various manufacturers, including U.S.-based analog watchmaker Fossil, which enables payments on models from its line of smartwatches and hybrids. The smartwatches used for these Pays services often cost US$300 or more, while Swatch produces analog watches that retail as low as sub-$100. Article has about 1200 words.